Aaron Cole August 19, 2016 Comment Now! This year the automaker took the wraps off its Escala sedan, a four-door flagship sedan built from the same CT6 bones on sale today. 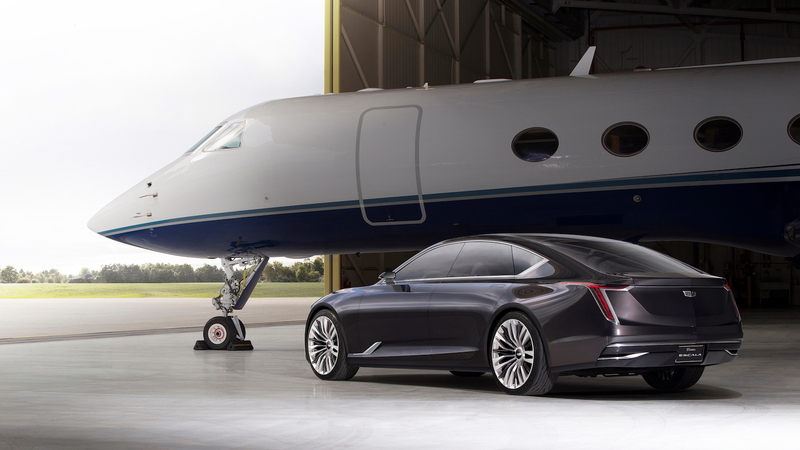 The Escala, Spanish for "scale," measures 6 inches longer than the CT6—about 5 inches were added to the CT6 wheelbase alone—and sports the high-end features we'd expect from a flagship concept. The big sedan sports a liftback in the rear, a result of its low roofline, and big 22-inch wheels at the corners. Inside, three OLED screens blend the instrument cluster and center stack together into one massive unit, and the same cut-and-sewn materials are wrapped around driver and dash. (The old "flying goddess" from prewar Caddies makes an appearance too.) 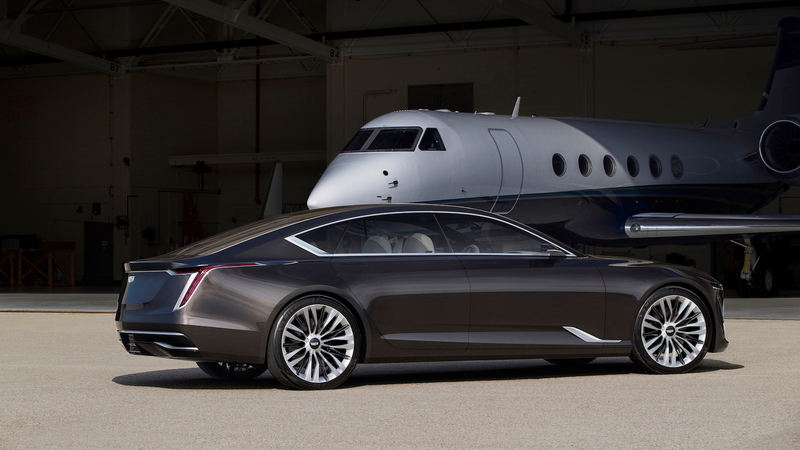 Cadillac said the sedan has two distinct zones: technology up front and luxury in the rear. Under the hood, Cadillac says a next-gen 4.2-liter twin-turbocharged V-8 makes an appearance. 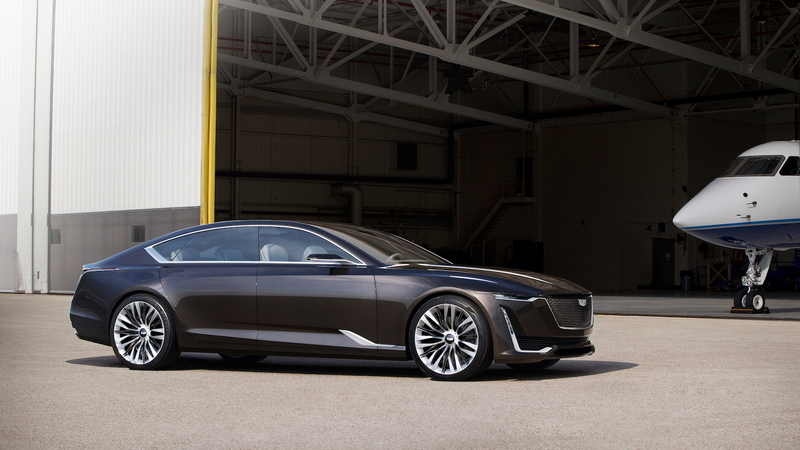 This engine, which features fuel-saving cylinder deactivation tech, is a Cadillac-exclusive unit being developed for future cars. 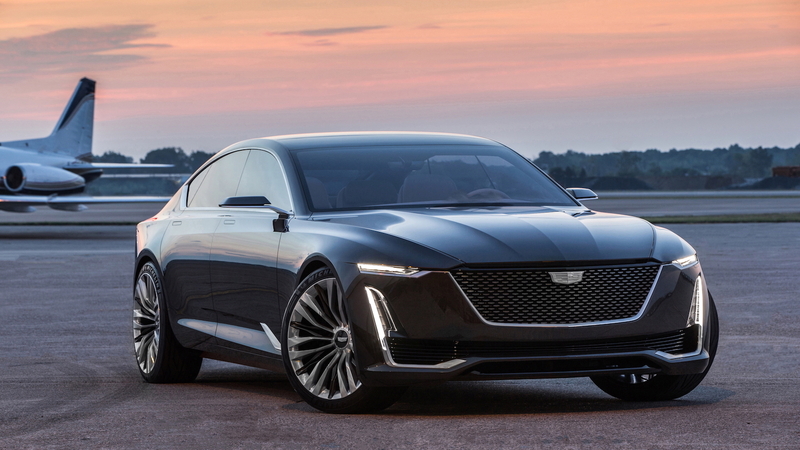 The concept also marks the launch of Cadillac's new face. The look is sharper and more up to date while retaining the same vertical light arrangement found on its other cars already on sale. 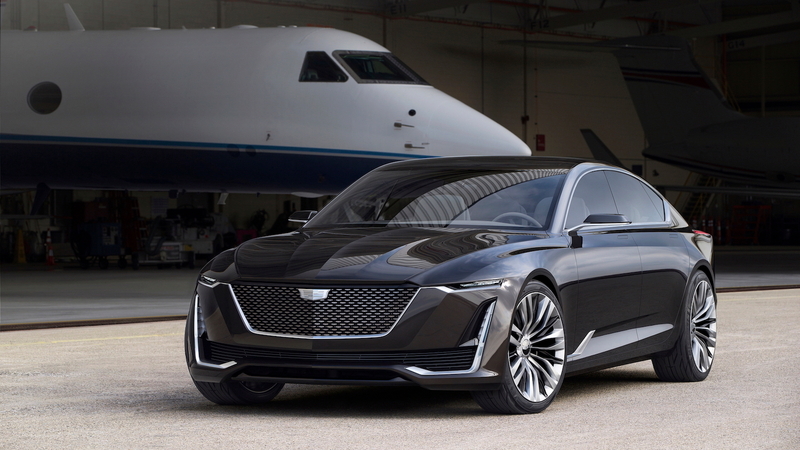 “Depending on the development of market segment for large luxury sedans, Escala is a potential addition to our existing product plan," Cadillac President Johan de Nysschen said in a statement. We wouldn't be shocked to see something like the Escala making it to production to replace the outgoing XTS, but it'll likely shed that name in favor of an alphanumeric mashup started by the CT6 and followed by the XT5. For more from Monterey, head to our dedicated hub all weekend.